Mangosteen is a small tree that takes a long time to grow, and can reach heights of up to 80 feet. It requires a climate that is warm and temperate all year round. The mangosteen is known as the queen of fruits, and for good reason. The tree is believed to have originated in Indonesia and is now available in many Asian regions. It is rarely outside of south Asia due to the ideal conditions for its growth, though some can be found in Florida and California. The trees require moisture at all times to thrive. It has a unique flavor and distinctive appearance. The fruit can be divided into three parts, the rind, the seeds and the flesh. The rind is where most of the nutritional benefits reside. The mangosteen has been an integral part of Asian medicine for a long time, but the health benefits of the mangosteen have since been backed up by science. Here are some of the top benefits. The main health benefit, with most food types, is the level and category of antioxidant. Mangosteens are one of very few food types which contain xanthones, a rare form of antioxidant. These have been proven effective against cardiovascular diseases. Xanthones can heal cells which were damaged by free radicals, slowing down the aging process. Mangosteens are also very rich in terms of vitamin C content, vital for protection against viruses of all kinds, including Epstein-Barr, colds, flus and infections. Per 100 grams mangosteen contain around 12% of the recommended daily intake of vitamin C. Due to this it also has many anti-inflammatory properties. Another of many mangosteen benefits is its effect on the largest organ in the body, the skin. A juice can be made from the mangosteen peel that is known to tighten skin. It contains many antimicrobial and antibacterial properties which make it ideal for promoting skin health. 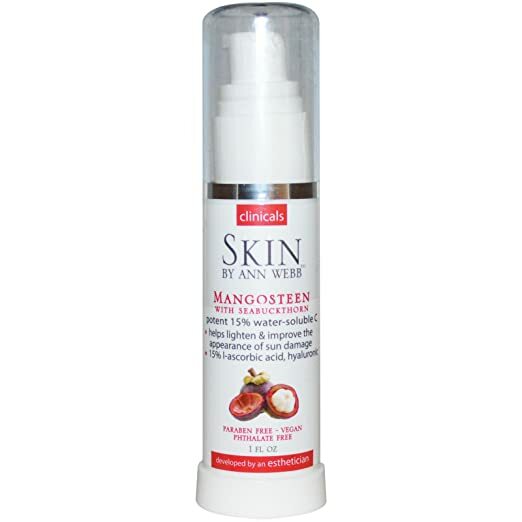 It can be applied to the skin directly to deal with acne and eczema, as well as numerous other skin conditions (check out this mangosteen for skin oil). And its consumption can also help with oily skin, acne and dry skin. Compounds in mangosteen has been proven in studies to fight against cancer. The xanthones in mangosteens were shown to inhibit the cell growth of patients with leukemia, especially alpha-mangosteens. 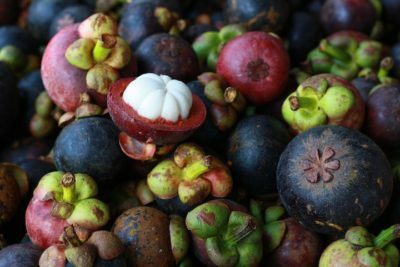 Similarly, apoptotic, anti-proliferative, and antioxidative properties of crude methanolic extract from mangosteens were shown to exist in numerous studies, which indicates potential for cancer chemo prevention for patients suffering from breast cancer. This means that the compounds contained within the mangosteen have the power to fight these cancers, not that studies have shown the mangosteen itself to be proven to fight cancer. In other words, the queen of fruits does it all, mainly due to the proven benefits of the xanthones contained in the mangosteen, which are hard to come by in other superfoods. There are a just few mangosteen juice side effects that you might want to be aware. There is not enough reliable information about the safety of taking mangosteen if you are pregnant or breastfeeding so stay on the safe side and avoid taking mangosteen. The xanthones in mangosteen may interfere with normal blood clotting and slow blood clotting. So stop taking mangosteen 2 weeks before surgery and be careful to consume mangosteen if you have a blood disorder. The powerful antioxidants in mangosteen eliminate free radicals from the body. During cancer treatment, certain chemotherapy drugs depend upon the production of free radicals to fight and destroy tumors. Because of this, mangosteen can be a hindrance to chemotherapy.